“I’m very optimistic that we can achieve breakthroughs to create growth abroad that will help us combat extreme poverty and increase economic opportunities in the developing world,” Malpass said Wednesday at the event with Trump. Malpass has portrayed the World Bank as too big, inefficient and reluctant to wean developing countries that grow into dynamic emerging markets. He has pushed the World Bank to lend less to China, arguing the world’s second-biggest economy has the financial resources to support itself, and has criticized Beijing for not moving fast enough to open up its markets. The lender’s executive board, which represents the 189 member nations, has the final say in choosing the leader. The board has given countries until March 14 to put forward candidates. The U.S. pick could provoke opposition from countries that have defended the existing global order against Trump, who rejected “the ideology of globalism” in a speech last year. It could also reignite calls for the bank to break with tradition and appoint a non-American in a recognition of the growing clout of emerging markets such as China and India. 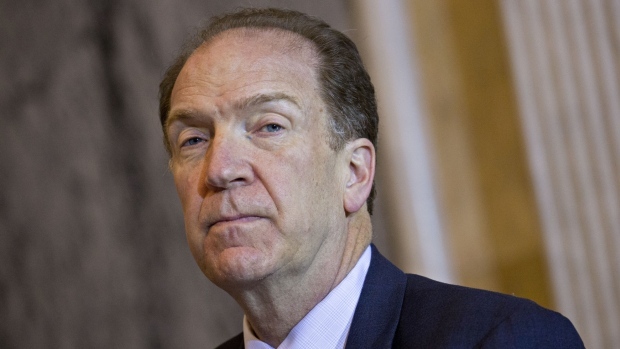 But administration officials pushed back on Wednesday against the notion that Malpass’s views are hostile to the World Bank, noting that he played a leading role in negotiations that led to a US$13-billion capital increase for the bank last year. Treasury Secretary Steven Mnuchin has reached out to other countries to press the case, and other governments have been receptive to Malpass’s candidacy, the officials said. Malpass, 62, is a Trump loyalist who joined his presidential campaign early as an economic adviser. As undersecretary of international affairs at the Treasury, he has enthusiastically supported Trump’s agenda of tax cuts and deregulation to bolster economic growth. The World Bank was conceived during World War II at a conference in Bretton Woods, New Hampshire, that also spawned the International Monetary Fund. Its original purpose was to finance the reconstruction of Europe. But under Robert McNamara, who led the bank from 1968 to 1981, it shifted its focus toward financing development in the world’s poorest countries, a mission it maintains to this day. The U.S. is the World Bank’s largest shareholder. Under an informal trans-Atlantic pact, an American has always run the institution, while the IMF leader has always been European.